Rhodes is one of those Greek islands that seems to have been transported to another place. 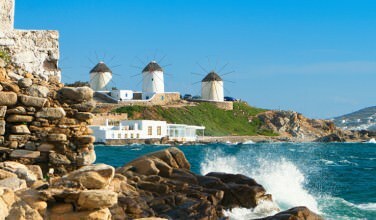 It has a rich history, and it is also the largest of the Dodecanese Island group. One of the places people like to visit while coming to the island is the Casino of Rhodes. Here helpful facts about what you need to do in order to enjoy the casino during your stay on the island. The easiest way to get to the island of Rhodes is to fly there from the city of Athens, but it is also possible to reach the island by ferry. However, the ferry ride to Rhodes takes a lot longer than the flight, which usually take less than an hour from other cities in Greece. Flying into the Diagoras International Airport is the quickest and easiest way to reach the Casino of Rhodes, which is located adjacent to the Grande Albergo delle Rose Boutique Hotel Complex. Both the casino and hotel can be reached in about 15 minutes from the Diagoras Airport by automobile, and both are within walking distance from Rhodes Harbor. 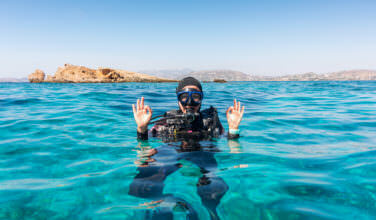 A ferry ride to the latter from Santorini’s mainland is also an option if time is not an issue. The casino offers 1,700 square miles of gaming. 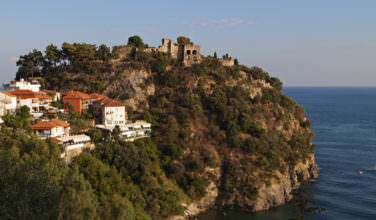 This two-floor casino has been extensively renovated so that its ancient architecture can be enjoyed by visitors. Because its appearance is somewhat similar to a palace, many people visit this landmark whether or not they are interested in gaming. The hotel and casino are quite popular among tourists, as both establishments strive to define the hospitable environment for which the island of Rhodes is renowned. Located directly on the shoreline near the Rhodes Town Museum and Caldera Church, it is almost impossible to overlook the Casino. 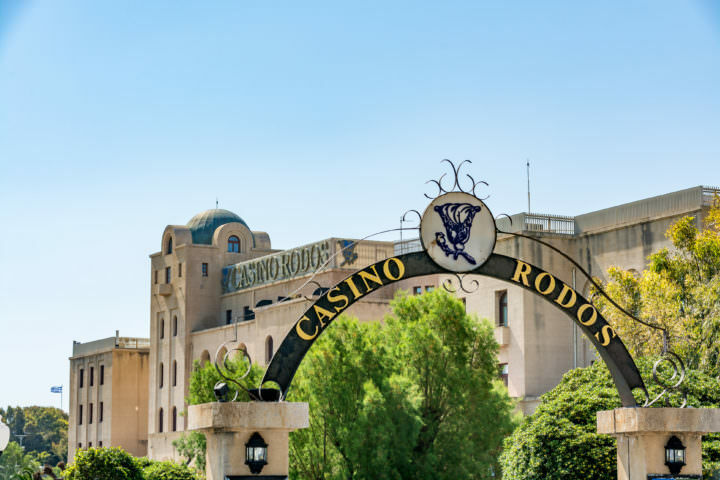 The Casino of Rhodes is a resort casino with its own historical flair: visitors can tour an entire hallway of pictures dating back more than 100 years and learn about the history of the casino before participating in any games. The establishment offers over 300 slot machines and 34 card tables, which are located on the first and second floors, respectively. Slot machines include those with progressive jackpots, video slot machines, and multi-game and mechanical slot machines. There are also video poker machines located on the second floor. Table games include all traditional card games, as well as roulette, Texas hold ’em, stud poker and Punto Banco. This casino is a fun place to visit virtually any time of the year. Photography and video are strictly prohibited within the structure and one must be 23 years of age or older to enter. Valid local I.D. or a passport are required to gain entrance. Fortunately, essentially all guests who spend time in the casino report a positive experience in reviews, making it a great choice for anyone who enjoys gaming. Although it isn’t a place you can take your whole family too, it is worth a visit for those who are of legal age. Enjoy the Tomato Industrial Museum on Santorini.